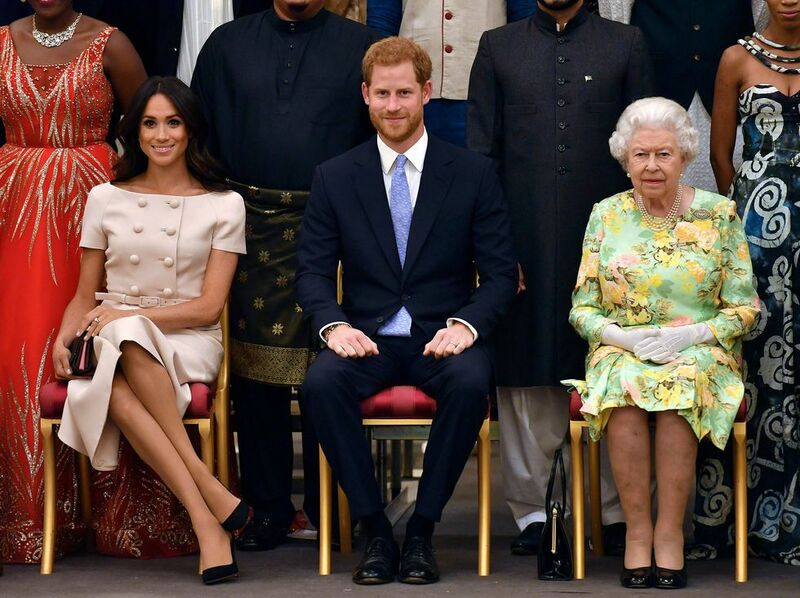 Meghan Markle alongside her husband Prince Harry attended the Queen’s Young Leaders Awards in Buckingham Palace yesterday and she made sure she stood out in a powder pink ensemble by Prada. The Duchess of Sussex is renowned for her sleek sense of style and in her short period in the limelight as a royal, she has indeed inspired a lot of women around the world, especially when it comes to wearing natural colors. For the event where the Queen herself looked so cool in a floral dress, Meghan was outfitted in a power dress that featured a double-breasted button-down short sleeve top and skirt set. We love how the outfit is designed to fit her slim figure perfectly. 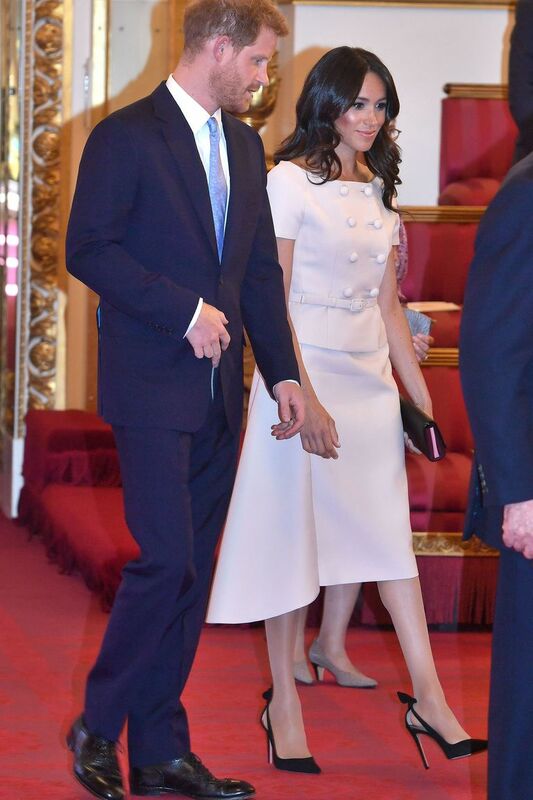 And the Duchess completed the look with a pair of black Aquazzura pointy toe pumps and matching Prada clutch. The award honors young people for leadership and service in their communities and this marks her first time attending the ceremony.